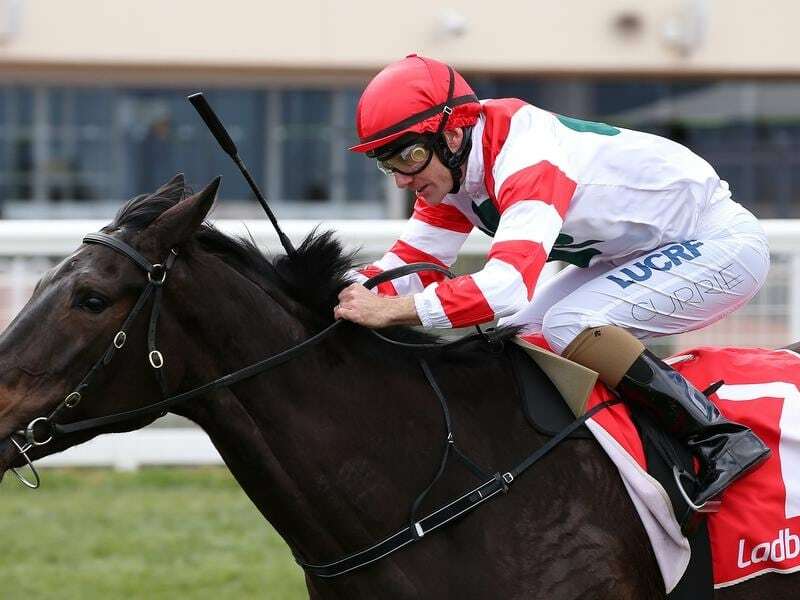 Trainer Tony McEvoy has plans to return Miss Siska to Adelaide for a stakes race after she won her first Melbourne metropolitan race at Caulfield. The half-sister to multiple Group One-winning sprinter Hay List, Miss Siska took out Saturday’s Beveridge Williams Handicap (1700m). Ridden by Luke Currie, Miss Siska ($4.80) scored a three-quarter length win over the $2.80 favourite Naantali with Lopartega ($41) 1-1/4 lengths away third. McEvoy said Miss Siska had built a good profile since joining his stable after commencing her career with Tony Noonan. Saturday’s victory was her fourth from six starts for McEvoy and now the trainer is eyeing the Balaklava Cup with the mare. “It’s a $100,000 Listed race over a mile and if I could get some black type on her that would be important for her,” McEvoy said. “After Balaklava she could have a couple of weeks at my farm in South Australia and then I’d like to bring her back here for Flemington and try and get her to the Matriarch Stakes.